Man Utd forward Zlatan Ibrahimovic is still busy working on his comeback from injury, but it looks as though he’s got decent company in the gym. The 35-year-old has been ruled out since April after suffering a serious knee injury in the Europa League tie with Anderlecht last season. Having spent the summer in rehabilitation, he looks as though he’s stepping up the pace on the comeback trail, although he will likely need a little while longer in order to reach full fitness and get his match sharpness back to compete at the highest level. It appears as though he’s brought in quality company in the gym though, as former United striker Andy Cole shared this snap of the pair as they enjoyed a work out together. Good morning my new gym partner ?? ?? Cole knows a thing or two about enjoying success at Old Trafford, scoring 121 goals in 275 appearances for the Red Devils between 1994 and 2002. 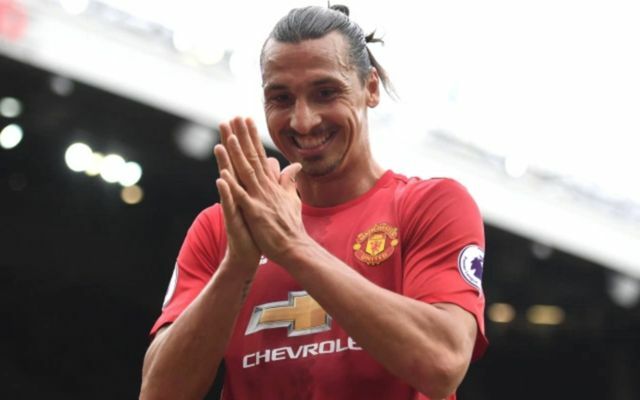 In that time, he won five Premier League titles and the Champions League, and he will undoubtedly have had some words of advice for Ibrahimovic, albeit the Swede has been there and done pretty much everything already, as he will hope to recover and play an integral role in the second half of this season to help Man Utd win more silverware.